Carnival Corporation cruise line Seabourn has received approval to begin sailing to Cuba from Miami and San Juan, Puerto Rico, starting November 4, 2019. 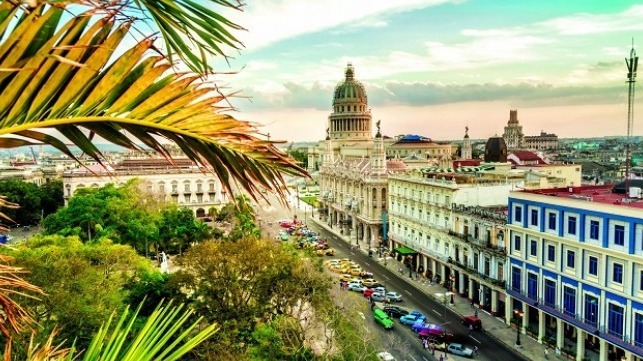 The line will commence operations with a 12-day cruise on board Seabourn Sojourn visiting five ports in Cuba throughout the season. Seabourn joins sister brands Carnival Cruise Line and Holland America Line to be Carnival Corporation’s third cruise brand currently approved to sail to Cuba. Carnival Corporation led the opening of the Cuba market for cruising from the U.S. in 2016 with its Fathom brand, becoming the first U.S. cruise company in over 40 years to sail from the U.S. to Cuba. Carnival Cruise Line’s Carnival Sensation and Carnival Paradise now have several Caribbean itineraries that include visits to Cuban ports. The voyages, which began in June 2017, have become so popular that the 2,052-passenger Carnival Paradise, which became the largest U.S. cruise ship ever to sail from the U.S. to Cuba, will feature an additional 20 sailings to Cuba. In 2019, the 3,002-passenger Carnival Sunshine will take over as the largest cruise ship ever to call on Havana when it begins sailing regularly to the island from Charleston, South Carolina. In 2019 and 2020, five Carnival Cruise Line ships will depart regularly to Cuba from four East Coast homeports – Charleston, Fort Lauderdale, Miami and Tampa.